We are a leading manufacturer, trader and supplier of superior quality Shower Room. The offered range is accurately designed with extreme care to meet international quality standards. In order to fabricate our range, we make use of premium grade raw material procured from certified and reliable vendors of the market. 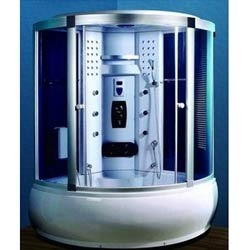 Clients can avail this Shower Room from us at market leading prices. Established in the year 2002 at New Delhi (India), we, “Adear Sanitary Ware” are a leading manufacturer, trader and supplier of superior quality Sanitary products and other items.Our exclusive range includes Massage Bathtub, Shower Enclosure, Shower Room, etc. We are known for high quality products and we design these products using superior quality raw material with the help of modern technology. These products are highly appreciated among clients for their precise fabrication, sturdiness, robust construction, reliability, longer service life and superior performance. Further, these products are available in various technical specifications as per the specific needs of our clients. In addition to this, our clients can avail the entire range at affordable cost.